What are front flush diaphragm pressure connections used for? 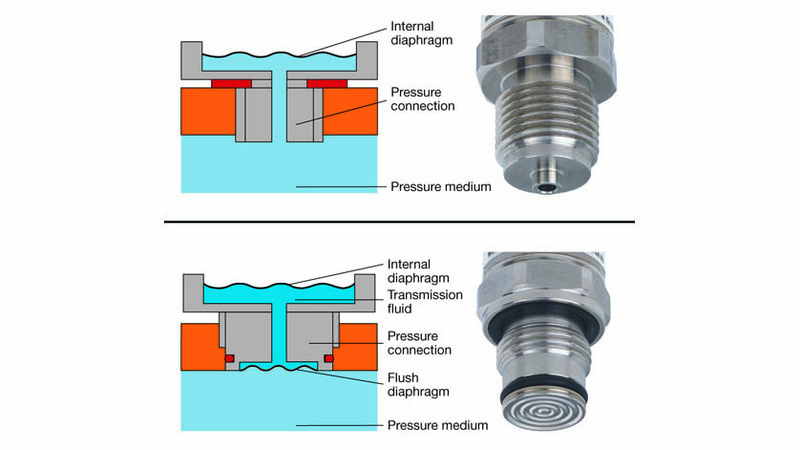 Front flush diaphragm pressure connections are required whenever the pressure channel of a standard pressure sensor may become clogged or damaged in use. This problem is encountered, for example, with crystalline, viscous, aggressive, adhering or abrasive media. This is why in these cases it is recommended using a pressure connector with front flush diaphragm. The majority of WIKA’s pressure sensors are also available with a front flush diaphragm like S-11 for general industrial applications. Please find additional information in the trade article “Introduction to pressure measurement“.